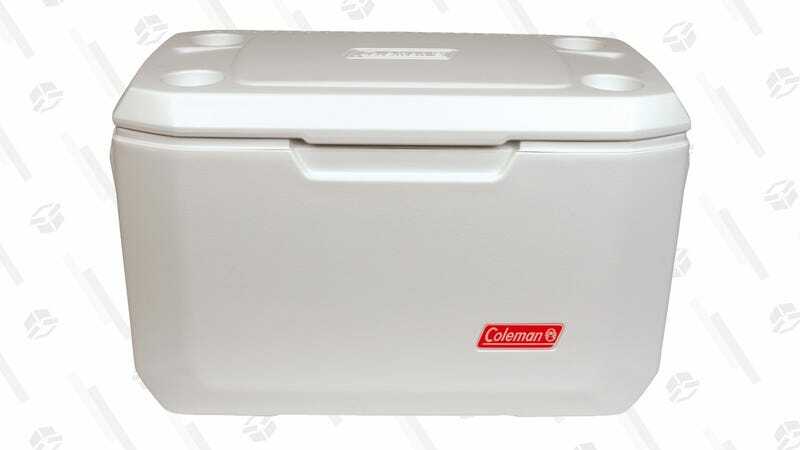 If you’re looking for a high-quality cooler that doesn’t cost a whole paycheck, this Coleman 70qt marine cooler could do the trick. For $40 right now (about $10 less than usual), this cooler is packed with extra insulation and has the space to hold up to 100 cans. Plus, the lid doubles as a seat and has four cup holders, which always come in handy.